The idea is they would want the additional service on the SAS, especially late nights and weekend when it would double the amount of trains on the SAS (since the Broadway and 6th Avenue lines stop within a block of each other until south of 23rd Street and again (albeit a long block) in Soho at Broadway-Lafayette and Prince Street respectively). It would not be "settling," as some simply would want the additional overall service (boosting the amount of SAS trains overall to 19-20 TPH at peak times). Having the option would be very important to some even if it's not the main one. Not everyone only uses the trains in rush hours, and I suspect the Broadway-Brooklyn line will be packed with a lot of displaced riders (BOTH on the / and lines) at all times, not just rush hours. As for Queens Plaza, I agree on the issues there, especially with not wanting to delay CBTC work on weekends any further than necessary. If they really want 19-20 TPH, then why not just run extra 's and 's on weekdays? Well, for one, running 20 trains per hour on the and would severely over-serve the lines downstream. 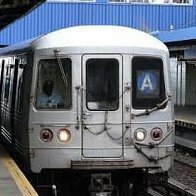 Car availability issues notwithstanding, the Brighton and Sea Beach lines will not be able to handle a service increase of that magnitude, not with the amount of merges both lines make through their journeys to and from Coney Island. Secondly, is there really a demand for all this? Third and probably most important as it pertains to this discussion, is the fact that 2nd Avenue is not the intended beneficiary for this expansion of service. Those additional trains that cannot or will not run to 71 Avenue need a viable terminal and 96 Street provides just that terminal. Yes, there will be some riders along 2nd Avenue that will benefit from the service expansion, but that's not the end goal. The idea is to get as many displaced line riders to/from Manhattan as possible via the . That's it. Everything else is supplemental and likely irrelevant. @Wallyhorse: By the way, your math is wrong. According to the newly released schedule, the 2nd Avenue line will see 8-9 trains per hour during peak periods. Adding your three T trains will give you a net total of 11-12 trains along the line, nowhere near the 20 trains you envision. Also, while weekend ridership is on the rise, peak hour ridership has been and will likely remain much higher than it is on the weekends. That's why it makes little sense to have more service on weekends than on weekdays. Except in my split, the (or ) is during the week a supplemental line while late nights and weekends, ALL such trains would run to 96th/2nd. The weekdays trains are the excess that can't use QB (or would make the already problematic conga line going to 71-Continental worse) and use up the remaining capacity on the Williamsburg Bridge while late nights and weekends, 96th-2nd would serve as thole sole northern terminal for the , which is why you actually have a higher number of trains in my version (either as or running to 96th/2nd on Saturdays and Sundays than weekdays. And based on my experiences riding the M15 on a lot of Saturdays in NYC, I suspect having the additional SAS service will help. That, however, is simply a side benefit of the main purpose, that is getting riders to Manhattan. And thanks for the correction on the schedules. I had seen 14 trains per hour. The 8-9 trains and five or trains per hour would mean 13-14 total at 96th/2nd at peak hours while on weekends, assuming six TPH and 6-7 M/T per hour, you would have 12-13 trains per hour on the SAS on weekends (and 6 TPH late nights between two lines), which I think will prove to be needed even if its not the intended purpose given how densely populated the UES really is. Either way, this is a temporary service change, even if it is slated to last for 18 months. That's why it's easier to have them run as extra trains, as opposed to creating an entirely different line that would likely be eliminated once the work is done. It is supposed to be temporary, but I suspect, especially on weekends that may very well become permanent even after the returns to normal because I suspect UES riders will want the additional trains to 96th/2nd since 6th avenue trains as noted stop within one block of Broadway line trains until south of 23rd (plus except late nights the doesn't stop at 23rd anyway) and also in Soho at Broadway-Lafayette (Houston) and Prince and Broadway respectively. This also gives UES riders looking to go to Greenwich Village for example a one-seat ride. Of course, the real purpose is to get displaced riders to Manhattan, but I somehow suspect enough UES riders will want this to be made permanent, hence the lettering. How about we wait until we get some definite ridership numbers before allocating services to lines that haven't even opened yet? That's the last I'll say on this. Not if it runs only once every 12-15 minutes during rush hours. And a service running on such abysmal rush hour headways could leave a bad taste for the in riders' mouths in the long run should we ever get funding for SAS phases 3 and 4. Eighteen months is not long enough to warrant the creation of a new line. Not even close. Even the crap, as '90s as it was, would be preferable to a misnamed service. And it won't even be a well-used service, because in order for a subway service to be popular, it has to run relatively frequently in addition to serving major destinations. Frequencies of 12-15 minutes during rush hours might be great for suburban commuter trains, but for NYC subway lines, it just doesn't cut it. Shifting gears back to the impending 14th Street Tunnel closure, is there already a program in the system for the to Bedford Av, or will they have to make one just for the closure? I would think so. Haven't they turned trains at Bedford or Lorimer for G.O. 's before? Programmatically (within the apps), I assume routes are best represented internally as a tuple of two endpoints rather than a single letter. The letter is just a garnish on the side for the users who know only about the letter routes. As a programmer, I find it bothersome to deal with ambiguous specifications since computers demand rigorously defined behaviors. LMAO! I'm on the first train and foamers are calling each other foamers. LOL! I would think there would have to be programs to Bedford Avenue and/or Lorimer St. in case one or the other has to be used for an emergency currently. As far as the / on the SAS, again, that's more a supplement to avoid overcrowding on QB during the week and so there is service on 6th Avenue on weekends. I just happen to think those who are savvy and know the schedule and want 6th Avenue service on the SAS will time it to make such whenever possible. also goes to 34 St-Herald Sq on the Yellow lines. True, but I was thinking more Rockerfeller Plaza and the massive underground concourse at 47-50. They can take the to 63rd, walk a total of twenty feet across the platform, and get on an to Rockefeller. People don't wait around for infrequent variations in service. No one waits for the to 179; no one waits for the odd Brooklyn IRT train that goes to the wrong terminal. I see people in the morning at 179th street that specifically wait for the special trains. Those Limited E's from 179 St actually goes Full Length Express on Queens Blvd Line until Queens Plaza could catch them AM Rush and PM Rush. PM Rush going back towards 179 St they go Local. When the starts terminating at Bedford Av, will it still be CBTC operation, or will it be manually operated? I don't think high frequency is necessarily needed for ATO, but I'm just wondering. So what is the going to use during this shutdown period? The current day is a mix of both manual operation and ATO under CBTC, It will most likely be the same when the tubes close. Yesterday the was running 8 min headways (Same headways the will have when the tubes close) and the train I took home was running in ATO.